Obituary for Charlotte L. Szlosek | Varnum Funeral Home, Inc.
West Brookfield - Charlotte L. (Dube) Szlosek, 89, of West Brookfield died on Monday, August 20, 2018 at Brookhaven Rest Home. She leaves her daughter, Lori J. Gobi and her husband Richard of West Brookfield; two sons, Channing Kimball and his wife Pauline of Port Charlotte, FL, and Roy Kimball and his wife Christine of North Providence, RI; her sister, Gail McGlaughlin of Connecticut, as well as 5 grandchildren, 7 great-grandchildren, and several neices and nephews. She was predeceased by her husband of 25 years, Rudolph W. Szlosek in 1985. She was born in Springfield, daughter of the late Charles and Lillian (Harris) Dube. Charlotte was a Registered Nurse, and worked at the former Belchertown State School. She also worked as a Teacher's Aide at the Fort River Elementary School in Amherst for several years before retiring in 1994. 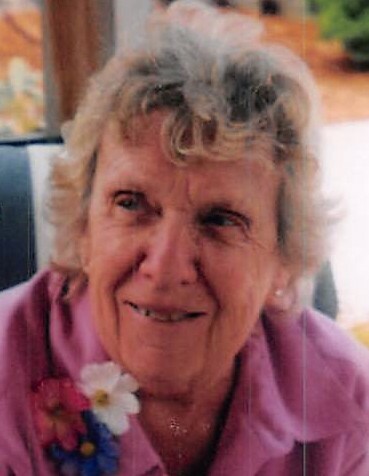 Charlotte enjoyed going on cruises and traveling, as well as county music and line dancing. When she moved to her home on Lake Wickaboag in West Brookfield, she she enjoyed going out on the pontoon boat and watching her grandchildren water ski. Some of her favorite times though were being with her family in Florida during the cold winter months of New England. A Funeral Service for Charlotte will be held on Friday, September 14, 2018, at 12 noon in the Varnum Funeral Home, Inc., 43 East Main St., in West Brookfield. A calling hour will be held from 11am to 12pm prior to the service. In lieu of flowers, memorial donations may be made to the Masachusetts Chapter of the American Parkinson Disease Association, 72 East Concord St., Suite C3, Boston, MA 02118 or the Alzheimer's Assoc. of Massachusetts, 309 Waverly Oaks Rd., Waltham, MA 02452.